Go Bake or Go Home: The Addition Of a New Page! Wooohoo! The Addition Of a New Page! Wooohoo! Hey everyone! I just created a new page here on the blog! It's called Recipe Books and it is an ever expanding list of great cooking and baking books that I really, really like and recommend that you purchase or at least borrow from your local library! 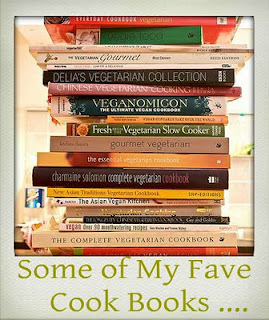 They are all vegan books and most of them have great wheat free/gluten free options. Some are completely gluten free. Go ahead, head on over for a little peek. You just have to click on the book below!